There is an English saying “An apple a day keeps the doctor away”. Scientific studies have confirmed that apples in the diet can help you rejuvenate the body and prolong your life. 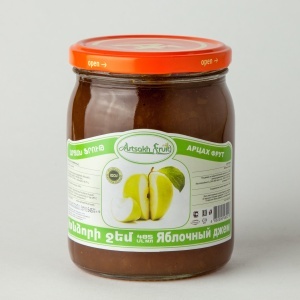 Due to the large amount of vitamin C, apple jam is also useful to treat colds, it boosts immunity, and pectin contained in the jam promotes healing of wounds and sores, reduces inflammation, and cleanses the intestines. Plum jam is a useful and very delicious food. Plum jam is a delicious sweet treat and a real storehouse of vitamins. 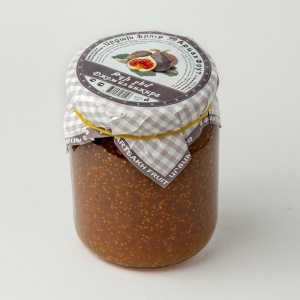 Plum jam enriched with potassium, phosphorus, magnesium, iron, sodium and calcium. It is perfect for morning toast, pancakes, as well as a cake filling. 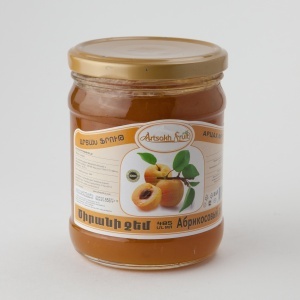 Apricots, used in jam, are very useful for the whole body, because they contain large amount of vitamins, as well as micro and macro elements, including phosphorus, potassium, magnesium, sodium, iron and iodine. Apricots promote digestion, removing impurities from the bowel, improve the cardiovascular system, strengthen the immune system, help with asthma, arrhythmia, coronary heart disease. 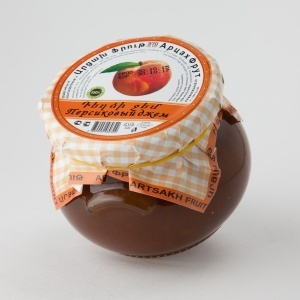 Peach jam – a tasty, fragrant product, is very useful dessert for tea. Recommended for small children and people with a weak immune system. It is highly recommended to those who suffer from diseases of the heart and blood vessels, bile stasis and renal failure. Peach jam – one of the best options in the dietary food for recovery of the digestive. 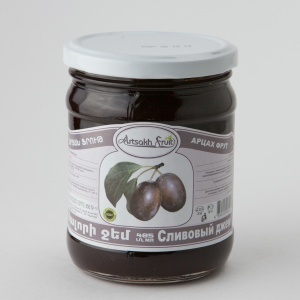 Figs are a rich source of tryptophan, which is very necessary for the optimal functioning of the human brain and maintaining normal mental state. Scientists believe that at appropriate levels it can slow down the aging of cells in the human body.